The places you visit every day – hotels, shopping centers, businesses, apartment buildings and private homes, must be safe for those who visit them. 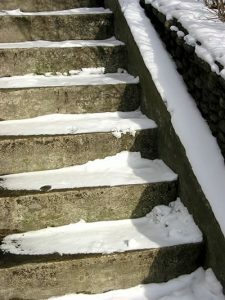 However, people are often injured in slip, trip and fall accidents when property owners neglect their responsibilities. Click here for more details on slip, trip and fall accidents. Ceilings can collapse for many reasons, such as leaks and water damage, termites, snow accumulation, structural problems and negligent repairs. If the problem is not addressed by the building owner, the ceiling can weaken and fall. Ceiling collapses can cause serious injuries, including head and neck injuries, broken bones, back injuries and permanently disability. Burn victims suffer from scars, organ damage and experience constant pain. Smoke inhalation can cause debilitating respiratory problems. Sadly, both can result in the death of its victims. Burns and smoke inhalation can occur due to circumstances such as fires, poorly maintained equipment and appliances, fire exits that are locked or improperly lit, scalding water and hot pipes, or broken or missing smoke detectors, among other types of negligence. When this occurs, property owners can be held responsible. High voltage electrical lines are in virtually every neighborhood and around every construction site. Contact with electricity can cause devastating injuries, such as burns, internal organ damage, permanent muscle and nerve damage, brain injury and cardiac arrest. Power companies, construction companies and building owners are required to follow strict rules to protect against electrocutions. When they do not, can be held responsible. Property and business owners have a duty to keep individuals on their premises safe from assaults, which often occur because they fail to provide adequate security or take safety measures to protect or warn of dangers that might be lurking in the environment. When this happens, they can be held responsible. Click here for more details on assaults. Every year, children are seriously injured or killed because of falls from unguarded windows. New York Law requires property owners to install window guards to protect children and others from these accidents. When they do not, or when window guards are improperly maintained or installed, property owners can be held liable. People in New York and across the United States are still poisoned by lead every day despite strict laws designed to prevent this. This can result in learning and behavioral problems, interfere with growth, affect hearing and damage the brain, kidneys and other organs. The Law requires property owners to maintain a safe environment for their tenants, ensuring that it’s free from lead-based paint. Click here for more details on lead poisoning. Swimming pools should be fenced, and should have safety locks and gates to prevent unauthorized access. Signs should be posted that warn swimmers from diving into shallow water. Diving boards should be in good repair and placed in areas that are not too shallow. If these and other safety precautions are not taken, serious injury and even drowning deaths may occur. ARDITO LAW FIRM, P.C. works with qualified experts, such as architects, engineers and accident reconstructionists who can give testimony that relates to your accident when necessary. Don’t Wait! Government and municipal agencies may be responsible for maintaining these areas. If so, generally speaking, a written notice claim must be filed within 90 days from the date of the accident. The failure to file this notice can be fatal to an otherwise valid claim. Whenever possible, we recommend that you take pictures of the scene as soon after the accident as possible. Sometimes, this is the only way to get documented evidence of what caused your accident since the scene may change before anyone else can get to it. It is essential that you contact ARDITO LAW FIRM, P.C. as soon as possible when you are injured due to negligent property maintenance so that we can protect your rights and you can focus on your recovery.